Does anyone own a Mossberg 930 pro sporting shotgun? What are your impressions? I’d love to find one to handle in S. Louisiana. I have the Mossberg 930 JM pro. I was going to get into 3-Gun, as of right now it's not going to happen and I'm thinking of selling mine. Only has a little over a 100 rounds through it. I'm almost 100% sure it's item# 85118 24" barrel and 10rd capacity. If I do sell it will come with original box and paper work, mounted Burris Fastfire 2 and box and about 75rds or so of Winchester 2- 3 /4" 7.5 shot ammo. I can get pics this evening if needed. 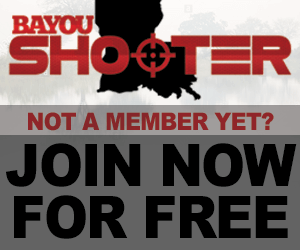 I know it would be about an hour drive from Houma, but I will be a Nick Shooting Range in Garyville till about 12:30 this Sunday if you would want to make the ride and check it out and maybe even send a few round down range. Last edited by thperez1972; March 25th, 2019 at 08:23 AM.